Merchants Bonding celebrated a successful 2012 with a pizza party and big thanks from the top executives. Merchants’ community outreach focus for 2013 was also announced. It is Holding Tiny Hands, a non-profit, all-volunteer organization that supports families who have babies in the infant intensive care units at Mercy and Blank hospitals in Des Moines. 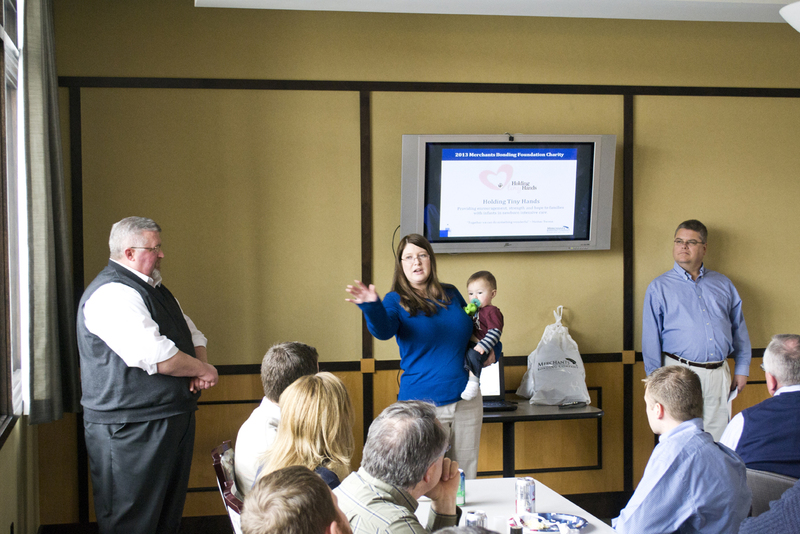 Merchants employee, Commercial Assistant Margaret Heasley also shared her story about how Holding Tiny Hands helped out after the birth of her son, Mason.